Well, he had a hand in promoting the Greenwater camp that “led to ruthless slaughter”. Even the name Greenwater was deceiving -- an isolated slice of mountainous desert lacking both vegetation and water -- water that had to be hauled in by the barrel and sold by the gallon. The Greenwater mining district was located along the eastern slope of the Black Mountains about nine miles south-east of Furnace Creek Ranch. Furnace Creek Road provided access to the camps and extended south to Shoshone. There were three settlements: Furnace, near the mouth of Copper Canyon; Kunze, in the canyon roughly two miles east of Furnace; and Greenwater, the center of commerce, located farther to the south-east out on the flat. The district is now within Death Valley National Park. Birney followed the traces of the copper ore up a canyon wash about six miles. He continued over a hogback and down a draw, and soon came upon a large bolder rich in copper and a ledge, “standing out like a wall”. His narrative continues, “We then walked across Death Valley, Lost Valley and the desert 180 miles to Keeler where we recorded our claims. We went back a few days later and staked out sixteen more claims”. Patrick (Patsy) Clark, a well respected investor in copper mines, found out about the Greenwater discovery and made a visit to the area. He was impressed with what he found and purchased the claims held by the two prospectors and filed on others in Copper Canyon. Clark believed that high grade copper could be found at some depth below the surface and organized the Furnace Creek Copper Company. Equipment was ordered, delivered by wagon and soon a pile of dirt tailings could be seen near his initial mine shaft. His workers located their tents at Furnace. The surface material showed copper all along the range and it wasn’t long before every square foot for twenty miles was covered with mining claims. A total of 73 mining companies took form and their stock sold primarily to investors in San Francisco and New York. George Graham Rice and other promoters wired articles to newspapers around the country hailing Greenwater as the chance of a life time -- the greatest copper discovery since Butte, Montana. Rice was paid by local mining companies to write glowing accounts of copper ore being shipped, but as you might suspect, most of these companies had yet to move a shovel of dirt. His fertile imagination was boundless particularly in promoting the companies in which he held an interest. Patsy Clark was one of the few making a serious effort to find the mother lode. A few pockets of good quality ore were found and a number of drifts were dug off of the main shaft. The copper content was good enough to encourage further digging. By May of ‘07, the shaft had reached the 500 foot level and the first and only shipment of copper made. The ore was hauled by wagon 50 miles to the nearest railroad and from there sent on to a smelter. 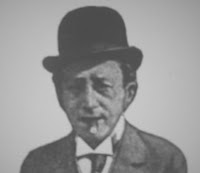 Arthur Kunze claimed that he was the first to find copper in the area. He filed claims, formed the Greenwater Copper Company and surveyed the townsite that bore his name. By the middle of ’06, world renowned financier Charles Schwab had also become interested in the Greenwater mines at the urging of Kunze. With other investors, he cobbled together numerous holdings and formed the Greenwater Death Valley Copper Mining and Smelting Company. At that time, most would have agreed that Schwab was the one most responsible for igniting the speculative frenzy that followed. His presence caused mining stocks to reach incredible heights, and miners, prospectors and investors to pour into the camps from all corners. Schwab also acquired the water rights to Ash Meadows and advertised plans to build a smelter and power plant there that would be connected to his mines by a railroad that he would also build. In a short time, his holdings grew to become the largest in the Death Valley region. He employed over 50 men and operated five shafts which plumbed 100 feet or more in depth. As with almost all mining camps, the end came swiftly. It was rumored, that the Guggenheims sent a mining engineer to investigate the mines and that his negative report, along with the Bank Panic of ’07, caused mining shares to plummet and the Greenwater district to collapse. To my knowledge, except for the two shipments made from the Furnace mines no copper ore was ever recovered from Greenwater. In the months that followed, activity at the major mines quietly closed down and miners and shop keepers quietly slipped away. Most of the tents and wood plank buildings were dismantled and hauled off to new camps. Some of the commercial buildings found their way to Shoshone. Greenwater may have reached a population of 500 at its peak. It boasted two thriving newspapers and a collection of mining camp enterprises including: hotel, hospital, bank, a restaurant or two, assay office, a number of saloons and an active red light district. Typical wood-framed tent covered houses were scattered from the mines down to Main Street. Both telegraph and telephone services were available. Except for a few early automobiles, travelers made their way by buckboard, carriage or wagon. A post office served the area from October 5, 1906 to May 31, 1908. The camp was said to be lively without being particularly rowdy. There were a couple of shootings -- one accidental and the other questionable. Charley Brown was appointed deputy sheriff and presided over some interesting happenings that he tells about in his book. With no jail and 150 miles to the nearest county facility, those found guilty of a crime were given some grub, taken to the edge of town and told not to return. Years later Charley Brown became a state senator representing the eastern end of Inyo County. The editor of the chuckwalla tells in great detail about the funeral of Billy Robinson, a saloon regular and sometimes gambler who died in his tent at the edge of town. Everyone pitched in to make certain that Billy had a proper send-off. Tiger Lily, famous through out many camps in the west, insisted that Billy be properly posed in his “scraped together” coffin. She put one arm across his chest and a five card poker hand under his fingers, stood back and said, “Billy sure does look natural now”. It was later revealed that Billy’s hand held five aces. George Graham Rice had some final words on Greenwater; “Not even a lone watchman remains to point out to the desert wayfarer the spot on which was raised the monumental mining stock swindle of the century”. I visited the camps in 1988 and didn’t find much. The above photos show some building foundations. The below photos show mine tailings and the terrain around the Greenwater townsite. Furnace Creek Wash Road (unpaved) is presently open to vehicles and can be accessed from Highway 190 via Dante’s View Road. I understand that it is open all the way to Shoshone but is rough in spots and may be closed due to snow during the winter months.